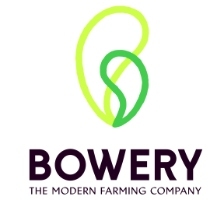 Bowery Farming is seeking a Senior Grower who will manage daily growing operations in our indoor farms. The Senior Grower will be responsible for evaluating the ongoing health of our plants, will manage the farm operations team who is responsible for working with those plants, and will play an important role in the design and buildout of future farm facilities. Unlike traditional head grower roles, you’ll also be supported by Bowery’s proprietary farm management software, BoweryOS, which delivers unprecedented support towards monitoring crop development and maintaining efficient operations. You will operate in a multidisciplinary environment with engineers, computer scientists, agricultural scientists, business operators and farm operations, and your work will meaningfully impact the evolution of the indoor agriculture industry. This role will be based at Bowery’s NJ farming facilities. You’ll manage day to day growing operations in Bowery’s current farm and help plan growing operations for future farms in conjunction with the systems engineering and agricultural science teams. You’ll lead a team of farm operators to ensure that the farm stays on schedule, from seeding to harvest to packaging to cleaning. You’ll evaluate overall crop health with the help of BoweryOS, and recommend grow system changes to ensure that all of Bowery’s produce meets top standards for quality and taste. You’ll ensure that our food safety program is adhered to and that all of our produce is handled according to our rigid safety standards. You’ll direct daily activity and recommend new techniques and processes that will make our farm operators more efficient and effective. You’ll coordinate and schedule the inflow of raw materials and outflow of packaged product from the farm in conjunction with the business operations team. You’ll influence our crop development roadmap, and help us evaluate new varieties for quality, yield and taste. You’ll recommend new monitoring and control systems that give Bowery increasing levels of control on the most important variables for plant growth. You have a Bachelors or Masters degree in the fields of horticulture, plant science, controlled environment agriculture, or a related field with a focus on leafy greens and/or produce. You have 6+ years of experience as a horticultural leader in indoor, growing environments (hydroponic/aeroponic/aquaponic), ideally with experience managing a team of other farm operators. You are able to intuitively determine plant health issues and spot unusual conditions in a growing environment, and can articulately recommend and efficiently implement changes to remedy common plant issues. You have a familiarity with the major technical systems of an indoor farm (irrigation, lighting, HVAC, nutrients, food safety, etc) and familiarity with the sensors and analyses that are used to diagnose their performance. You’re a capable people manager with a track record of recruiting, directing, coaching and inspiring teams towards high performance. You are “tech fluent” and excited about the prospect of helping to build new technology to change the nature of farming. You’re an excellent oral and written communicator who is able to shift between technical discussions and layman’s terms with ease. You believe that teams succeed and fail together and take responsibility for ensuring the success and satisfaction of your teammates. (Preferred) You have managed or participated in an indoor growing operation through its startup, including hiring and training of the farm operator team, ramp up of the grow system, and initial food safety audit and inspection.